Crunching Numbers: Just How Complicated is Common Core? When the Common Core math standards were implemented, like most parents, I wasn’t completely aware of how it could change the math classroom for my high-school-age son. What kind of influence did the standards have on middle- and high-school math? What sort of changes occurred? Several questions emerged, and I wondered, what exactly is the impact of the Common Core standards for upper-level math? First, what is the difference between the Common Core math standards and math curriculum, and who decides the differences? The Common Core math standards define what skills in math should be taught at a particular grade level. These standards were developed by U.S. governors, education commissioners, the National Governors Association Center for Best Practices and the Council of Chief State School Officers. Teachers, parents, school administrators and other experts provided input, too. Math curriculum provides the details about how a student must learn the skills dictated by the standards, often through a textbook, and these decisions are made by school districts for individual schools. At this time, one of the biggest issues, says William McCallum, a professor of mathematics at the University of Arizona and one of the lead writers for the Common Core State Standards in mathematics, is the need for aligned curriculum materials that represent the shifts in the standards. As a result of the Common Core, districts and teachers may need to adapt their current curriculums to these changes in standards. Some districts have added math specialists to support the transition. How do the Common Core math standards change math for middle school and high school? According to McCallum, the standards were designed “to build a ramp to high school mathematics, starting in elementary school, [which] makes it possible for more students to achieve success in algebra and other high school subjects.” A key shift in the standards emphasizes greater focus on fewer topics, so that teachers can spend more time teaching specific math skills with less emphasis on getting through the textbook by semester’s end. The standards also focus on linking concepts across grades, creating coherence as students move from grade to grade. Finally, increased rigor — ensuring students have command of a math concept before they move on to the next concept — is also a change. What are the key components of the Common Core math standards for middle school and high school? In high school, the math standards are listed in conceptual categories. For instance, students will be expected to learn about numbers and number systems, moving from whole numbers to more complex number use. They will also be expected to explore numbers with units or quantities. Quantification is important in science, technology, engineering and math (STEM) applications. Aspects of real-world applications that students will be expected to learn include concepts of modeling — choosing appropriate math functions to analyze — and understanding empirical situations and functions by which one quantity determines another. They’ll learn to interpret, build and use functions. While algebra and geometry are still considered high school concepts under the Common Core, Algebra 1 can now be expected to begin in middle school, specifically eighth grade. 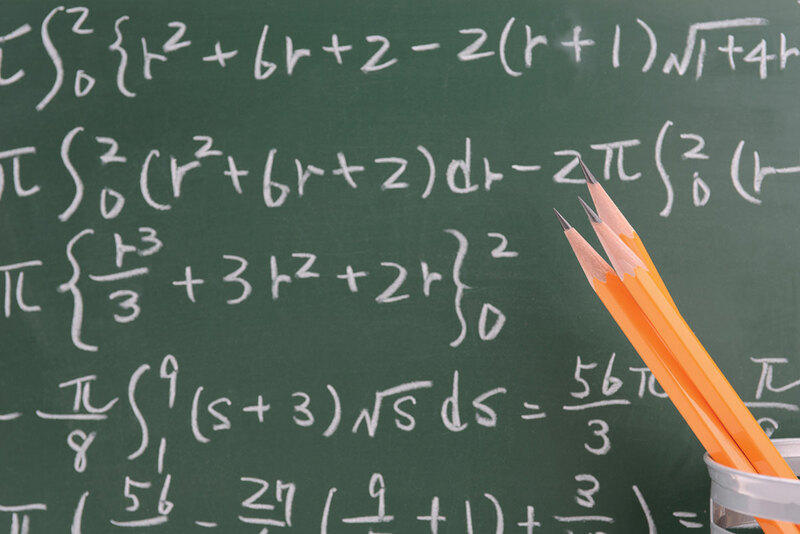 Is algebra really harder under the Common Core? Not really. Under the Common Core, algebraic concepts such as ratio and proportional relationships are introduced in eighth grade. The same is true for linear functions. The difficulty stems from the fact that there is confusion between what the Algebra I course encompasses, and what, more generally, is algebra as a mathematical concept, says McCallum. The goal with the Common Core is to have students learning algebraic concepts in elementary school so that they are ready in middle school and high school to transition to Algebra I, Algebra 2 or higher. But are eighth-graders ready for this kind of math? Timothy Chalberg, a math instructor at the Science and Math Institute in Tacoma, thinks that some students might not be ready for it developmentally. “In Tacoma, everyone now takes Algebra I in eighth grade, where it was previously offered in the ninth grade,” he says. “Algebra 1 is a fairly major distinction. You are shifting away from numbers and looking more into the structure and abstract, so there may be some students who are not developmentally ready for that transition.” McCallum also believes that it is a more rigorous course. “Middle school now contains a lot of what used to be in Algebra 1,” he says. Do the Common Core math standards complicate math even more? There has been a great deal of controversy about the Common Core math standards, some of it aired in newspapers and blogs. But if you ask Jordan Ellenberg, mathematician and author of How Not to Be Wrong: The Power of Mathematical Thinking, he says that the Common Core math is “by and large, the same thing in a new package,” as he wrote in a recent New York Times opinion piece. What it does, says Ellenberg, is change its emphasis. As a result, many state curricula are packing a wider range of material into the lower grades. “The designers of the Common Core wanted to focus the K–5 years more firmly on mastering arithmetic, since arithmetic serves as the foundation for everything else students will learn,” Ellenberg says. What sort of transition can I expect for my kids from middle-school to high-school math? Parents would be wise to expect some sort of transitional woes. 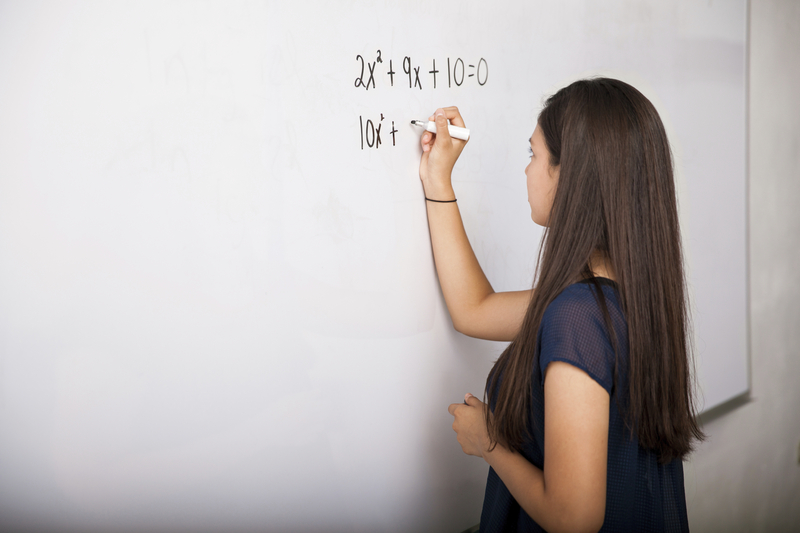 Because the Common Core math standards move algebraic math into eighth grade, it is possible that some students may not yet have conquered the math vocabulary or math development skills to make this transition. Because of this, some teachers, like Chalberg, have found that they have to teach skills to fill the gap. For instance, Chalberg has had to cover transition topics such as quadratics or linear functions with his Algebra 1 students. He’s found that some skills that were previously in Algebra 2 have, because of the new standards, been pushed into Algebra 1. Integrated math is a blend of algebra, geometry and statistics that takes math learning out of silos: Instead of teaching each subject separately from one another, teachers blend them together. A traditional pathway teaches Algebra 1, 2, geometry and then higher math as separate classes. While Washington state has not implemented an integrated math pathway, other districts in states such as North Carolina, Utah and West Virginia have. According to McCallum, the Common Core does not specify how schools are required to arrange their mathematics courses. “Both pathways should lead to the same level of knowledge by the time children leave high school,” he says. What is the value of rote memorization when students move from arithmetic to algebra? Most of us learned addition, subtraction and multiplication with flash cards. Some rote memorization helps makes algebraic and other higher math computation easier. But what a student really needs, Ellenberg believes, is fluency. You need a state of good “flow” to do math, and knowing these skills by heart helps students, because, he says, they will constantly have to compute those products to do good math. Shouldn’t high-school math focus on real-world use of math? Applied math, with its emphasis on STEM, is where you see a lot of real-world application. The Washington Applied Mathematics Council (WAMC), which provides teacher training in applied mathematics, believes that too many schools are having traditional math teachers teach applied math by focusing on the textbook, and are not including math labs. “The labs take time to develop and do, but we feel that they are essential for a student to truly understand the math theory being presented,” says Ron Noble, president of WAMC. “We place an emphasis on integrating algebra and geometry, as the two go hand-in-hand in workplace applications.” It is very hard to convince a student why she should learn an algebraic equation in a rocket lab, says Noble, without also including a geometric equation necessary to solve the rocket’s propulsion, trajectory and distance. Students will want to solve why their rocket did not go as far as those of their peers, says Noble, and they need the skills to accomplish this. Does my kid need to have “talent” in math to excel in math? A student really does not have to have a special talent to be good at math, but she needs the confidence to know she can excel. Math is simply about problems, says Ellenberg, and people are generally motivated by problems. “I think that we need to do more to emphasize that math is about playing and messing around and sometimes failing,” Ellenberg says. “Students are often paralyzed by a problem because they are afraid to get it wrong, afraid that means they’re ‘not good at math.’” We need to model that part of doing math is getting problems wrong, says Ellenberg, as it is the only route to getting things right.